Warriors Sports Club gained the attention of the rugby community in the Gulf over the weekend with a fine set of results from the squads that travelled to play in the Etihad Airways Abu Dhabi Harlequins Junior Rugby Tournament 2013. The tournament was held at Zayed Sports City in the capital over the weekend of the 25th and 26th October. Warriors had seven squads representing our growing force in UAE rugby, with Under 8, Under 9, 3 x Under 11, and 2 x U13 squads participating in the festival. 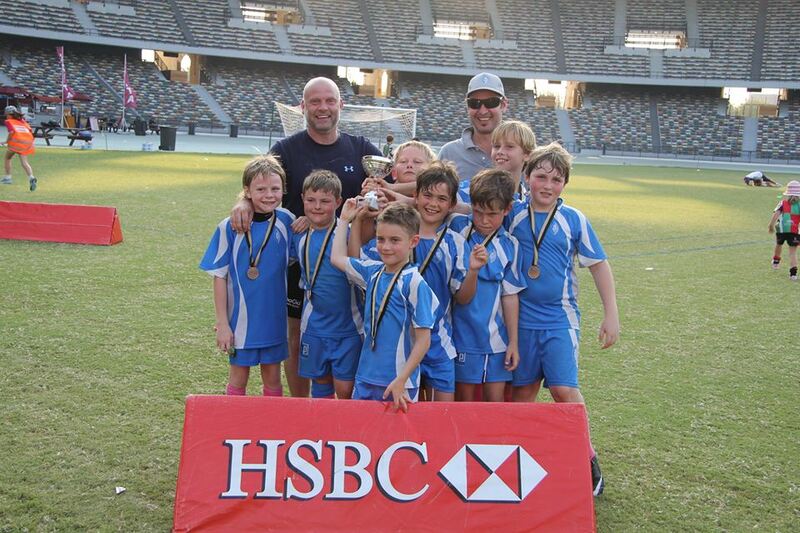 Warriors Under 8s and Under 9s played inside the National Stadium, with the U8s reaching the semi finals of their competition, and the U9s being the first squad to win silverware for the club with the honours of winning the Plate Final. The U11 squad benefits from having depth in numbers, and managed a clean sweep of the available silverware for the age grade. The U11As won the Cup, The U11Bs won the Plate, and one of our star players in the U11B side won the U11 HSBC Fair Play Award – Taariq Mennad. The U13 squad sent 2 teams to play 7-a-side rugby, and they made commendable progress for a squad that has been finding it’s feet in the longer version of the game. The 2 Warriors teams were seeded to play each other in the knockout stages, before the A’s finally succumbed to the Arabian Knights who they’d beaten earlier in the season quite comfortably over the long game – that is the unpredicatability of the 7s game that makes it a worldwide hit. Congratulations to all the players, referees, coaches, first aiders and managers who helped create what was, for the Warriors in pink socks, a great weekend for our announcement that we are a force to be reckoned with.